Nuby's Rattle Pals Teethers are for babies that are three months and older. This interactive teether has multiple teething surfaces. The different surfaces are sure sooth. The teether is also a rattle. 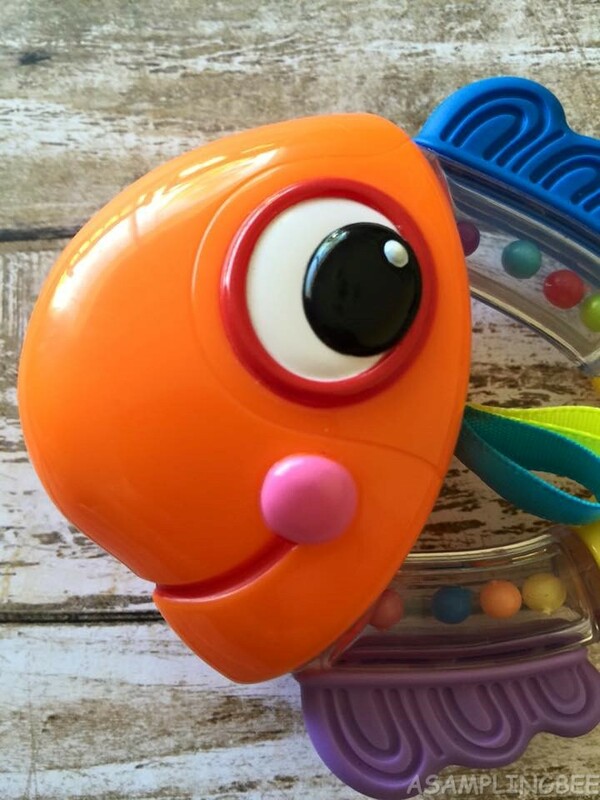 Keep baby occupied and happy with this teether for hours! 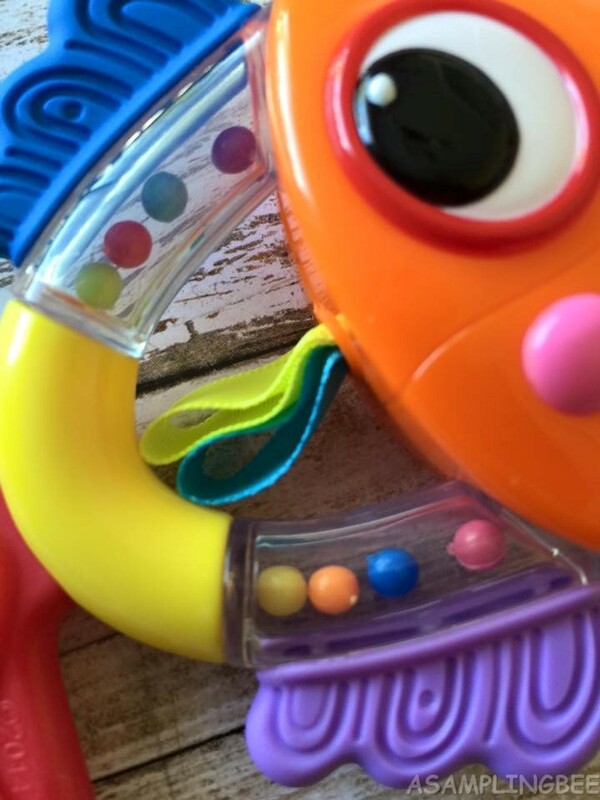 Babies love rattles :) Made in China. 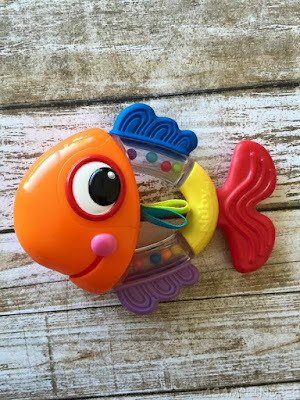 My son loves this fish teether. He loves chewing on the tail. The ribbed texture of the tail provides him some relief. I do not like to give him teething tabs or Tylenol for his sore gums. So, when I find a good teether that works, I keep it at hand all the time. My son love the bright colors of the teether. He also loves the rattle noise. 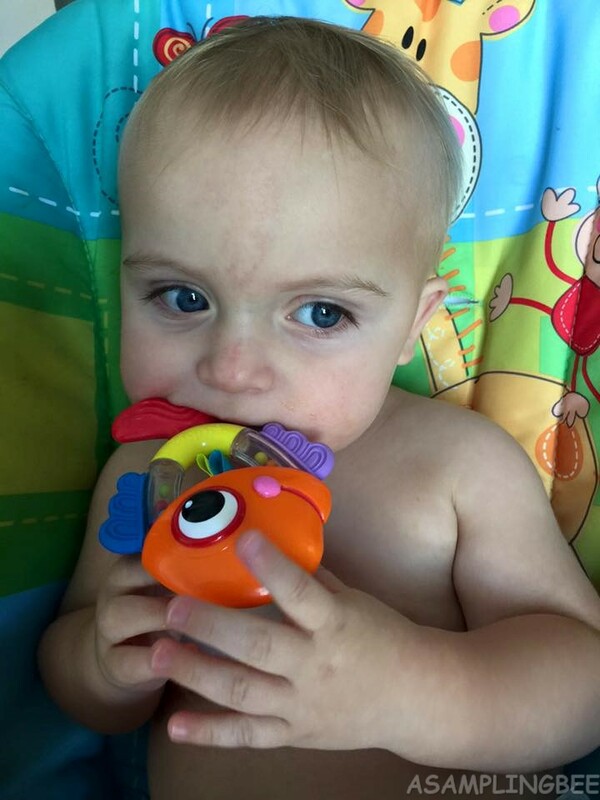 The teether fits in his hands perfectly. The teether helps develop hand-eye coordination. Cleaning is easy. All you need is warm, soapy water and let dry thoroughly. 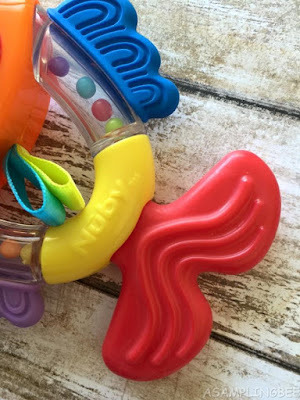 The teether cannot be boiled or microwaved. 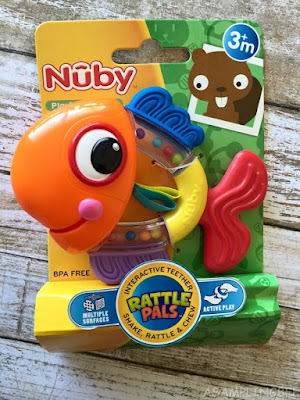 I recommend this teether!! I love it! 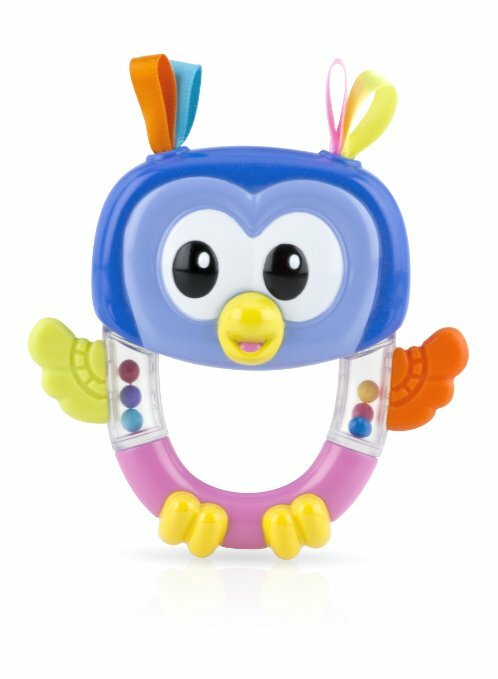 Nuby's WEBSITE is full of awesome product :) Also available in a cute owl!